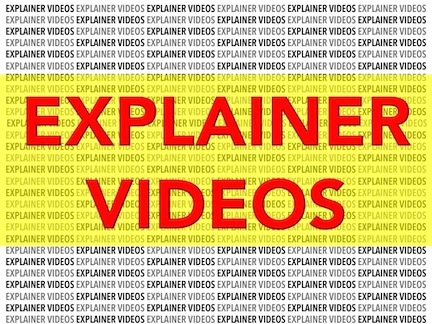 For those who don’t know, explainer videos (also sometimes called video demos) are usually 1-3 minute videos that creatively tell the story of a product or service or even a story. There are many kinds…here’s an example of an explainer video I narrated for a DVD series which presented information about the Catholic Catechism in a friendly and creative way. There are tons of talented production companies churning out amazing stories for products and services of all kinds. It’s an entertaining way of engaging a consumer. Well, it’s supposed to be entertaining. Problem is, just like in almost every facet of business, there are businesses out there who try and take crazy and short-sighted shortcuts on things like explainer videos with cheesy graphics and homegrown narration. Yup, business owners narrate these videos themselves or have some family member narrate their explainer video, further diluting the possibility of any one watching the video past the first 10 seconds. It’s like watching a train wreck. So here are my unsolicited tips for a valuable explainer video. First, on an explainer video – visuals are the key…if they aren’t awesome, your production is in trouble. Visuals are job one. Second, you don’t absolutely need a voice talent for a successful explainer video…but your visuals better tell a very, very, very good story…and you should look into a custom music bed too if you’re not going to use a voice talent. Third, and I know I appear biased but I’ll take the risk, don’t do the narration for your explainer video in-house. Hire a voice-over professional (there are only a few thousand out there…see, I’m not just hawking my wares). Great visuals and a great story teller will make your explainer video engaging and memorable. And that there’s the whole ballgame. The trouble with having strangers use your iphone to take pictures is they might not know how to use the iphone camera…or any camera for that matter. Such was the case with the above picture from an otherwise terrific evening. 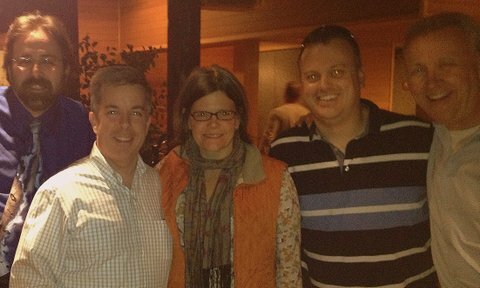 With fellow Faffers Seattle-area voice talents Corey Snow, Jeffrey Kafer and Scott Burns, I enjoyed the opportunity to introduce my them to my other Seattle-area voice-over talent friend Grace Regis Bennett when we all got together for dinner. The restaurant had spectacular views of the Olympic mountains which made up for their not spectacular wait staff. The laughs were plentiful and Grace joined in liked she’d know these boys forever…which I hope now she will because they are not only all great voice talents but great people as well. Thanks to all four of them for joining me. why do we make things more complicated? 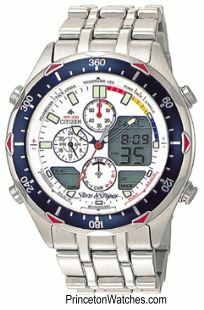 I cannot remember how long ago I purchased the above watch (from the same company who provided the picture I believe) but I knew at the time it was a handsome looking time piece and I wanted to have it. I know how to operate about 3 of those features and the safety clasp still gives me trouble occasionally. No, I am not trying to sell you a watch. I would like to admit that it takes me about 15-20 minutes after every time change (daylight savings time etc) to AGAIN figure out how to adjust the time on that thing. You have to push some stems and pull some stems and then you have to say some magic words. I think a human sacrifice may be involved. The point being I REALLY only need it to tell time. I like to wear it when I travel between time zones because it switches easily but that’s about it. We do this in our business too I think…make things more complicated than they need to be. Our marketing can be effective…and simple. Our bookkeeping can be organized and simple. Our audio chains can be sonic and simple. But we add gadgets and tricks and columns in search of a better way, a more communicative way and sometimes (and this always confuses me) a simpler way (we add things/steps to make them simpler). When we buy new products…can we stop for a second to see if the bells and whistles are REALLY necessary? Can we remember to narrow down the new item’s reason for being to the one simple task we need it for? I don’t know about you, but I have to try and get better at this. But…my watch IS nicer than your watch! But it’s a fact of life – virtual conferences have been around a while now. It was a business that a friend of mine delved into and she seemed to enjoy it. I myself have never attended or I guess a better term is participated in a virtual conference. It’s an intriguing idea so leave it to voice-over’s own Rupert Murdoch (aka John Florian) make the idea a reality for the voice-over community. If you’re a plan ahead kinda gal or guy, you’ve got some time. 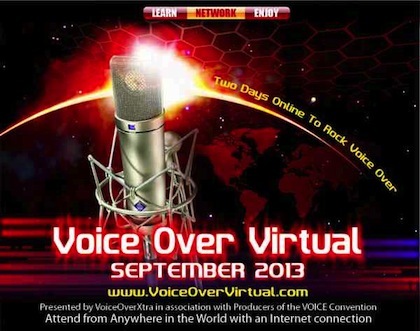 Voice Over Virtual will take place September 18-19, 2013. My Father had a saying that I have always tried to live by. I’ll spare you the original Latin; translated it is “Don’t let the bastards get you down”. 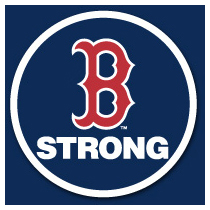 It is easy to say but not so easy to do on days like today. But we must not let the bastards get us down. If we do, we lose. What a nice treat for me on my recent trip to Milwaukee to visit with the great female voice talent Bobbin Beam and her husband Pete Kraeger. 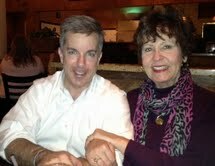 Pete and Bobbin recently moved back from San Diego to their old stomping grounds and are having a wonderful time. We had so much fun talking about…well loads of stuff including Bobbin’s growth into the audiobook world (she clearly has wonderful patience that I’m kind of lacking in that particular genre). I’m only sorry Bob Merkel couldn’t join us but we’ll all get together soon I hope! Thanks Bobbin and Pete!